YOU HAVE THE OPPORTUNITY TO OWN AN ART PRINT. MANY AT COMIC CON ALREADY DO!!! It was a phenomenal weekend for those of you that had the opportunity to attend this past weekend. many good treats and good times were guaranteed for all. I want to thank all the fans for coming by, saying hello and purchasing many of my art prints. I know you got a fantastic deal and left satisfied with a nice print of some amazing art done by yours truly. Superheroes are reaching a high peak and the genre it’s only getting bigger. Please feel free to relive the event that made the festival one to remember. Many pics were taken and many fans arrived!! VISIT MY ONLINE STORE!! MANY MORE GENRES WILL BE ADDED SOON!! martinmrochaart@gmail.com. 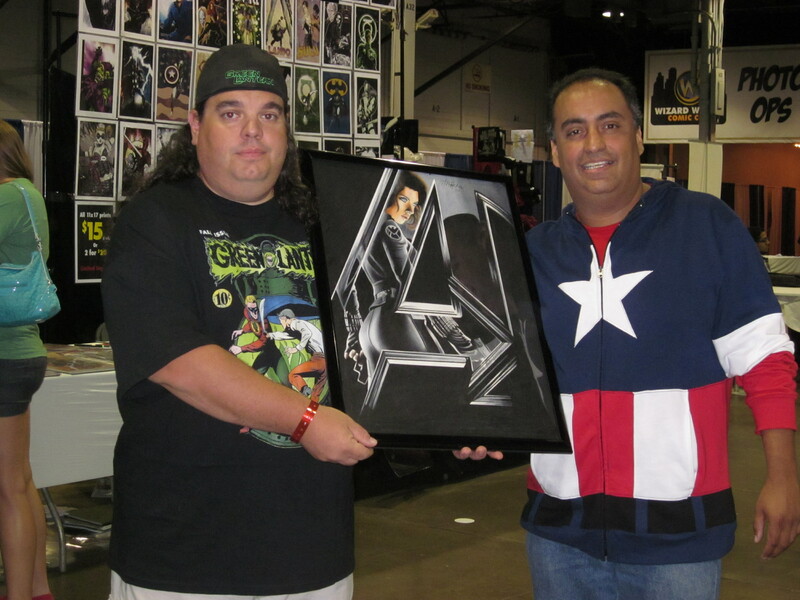 First fan to buy an original from the Martin M. Rocha Art gallery!! BLACK WIDOW WAS THE LAST COMPLETION AND THE FIRST ONE TO FLY! !